“Seasonal allergic rhino-conjunctivitis”, the technical term for hay fever, affects a whopping 20% of the general population (and up to 50% of adolescents). Summer is with us and hay fever will be the allergic disorder most in our noses and on our minds. 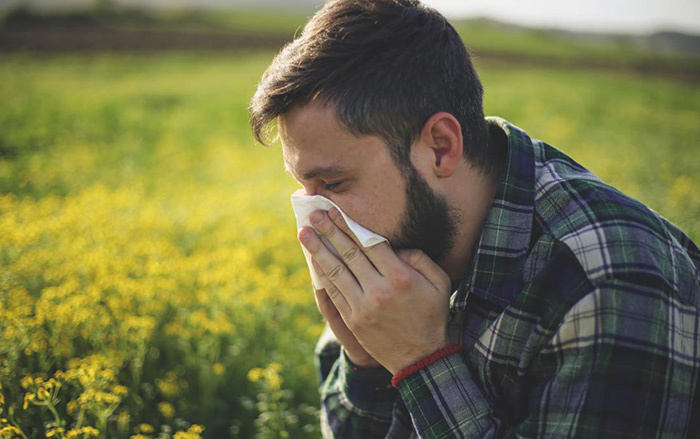 Although often trivialised, untreated allergic rhinitis and hay fever can cause a significant impact on quality of life and untreated is more debilitating than asthma. In 2001, the WHO proposed a new terminology to superseded the traditional Seasonal or Perennial classification of Allergic Rhinitis. WHO divides Allergic Rhinitis into Intermittent (less than 4 days per week or less than 4 weeks duration) and Persistent (more than 4 days per week and over 4 weeks in duration). Intermittent and Persistent Allergic Rhinitis are further sub-divided into Mild (minimal symptoms) or Moderate/ Severe (troublesome symptoms, sleep disturbance and impairment of daily activities). In this discussion we will focus on the more Severe and Persistent end of the Allergic Rhino-conjunctivitis spectrum which is usually triggered by exposure to common environmental tree and grass pollens (Pollinosis). Symptoms such as intense itching of the nose, eyes, palate, ears and throat with repetitive bouts of sneezing, profuse watery nose and tearing occur when pollen levels exceed 30 grains per cubic meter of air (grains/m3). Pollen levels may rise above 500 grains/m3 at the peak of the grass pollen season. 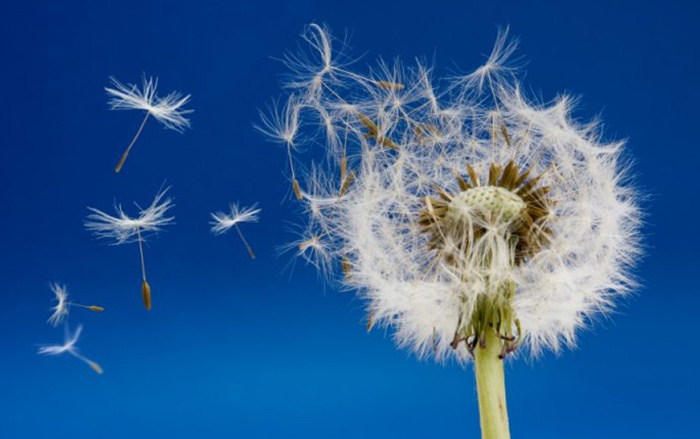 Occasionally pollen triggered wheezing may occur in the form of Hay Asthma. The trigger allergens start with a tree pollen “blip” (Cypress, Oak, Plane, Acacia and Olive) in early spring (August), followed by a long grass pollen “surge” (Bermuda, Lolium, Rye and Eragrostis) persisting from September through to the end of February. Weed pollens (English plantain and Cosmos) rise for a short “spell” in late summer and fungal or mould spores (Alternaria, Cladosporium and Epicoccum) predominate in damp Spring and Autumn but tend to be less problematic than pollen grains unless spore counts exceed 3000 per cubic meter. In South Africa we rarely see the Silver Birch tree pollen oral allergy cross-reactions which occur when eating certain fresh stone-fruits such as apple, pears, cherry and hazelnuts (Oral Allergy Syndrome) and so often seen in western Europe. Antihistamines: Regular use of antihistamines throughout the pollen season is effective especially if treatment is commenced early in the season. Non-sedating longer-acting antihistamines include fexofenadine (Telfast, Fexo), levocetirizine (Zyzal) and desloratidine (Deselex, Dazit), while slight sedation has been attributed to cetirizine (Texa, Allercet) and loratidine (Clarityne, Lorano, Lorabid). Chlorphenamine (Allergex) readily crosses into the brain circulation and can cause significant sedation, sleepiness and mood changes although many people seem to tolerate it well. Non prescription Diphenhidramine remains a readily available and is a cheap treatment option and still forms the bulk of OTC (non-prescription) hay fever medication. Surface antihistamine sprays such as levocabastine, ketotifen and azelastine can be used with good results for nasal allergy but are better in controlling ocular allergies. Cromones: Sodium cromoglycate eye and nose drops which have been available since the 1970’s are more effective in children and very safe to use, but must be used 4 times a day. Nedocromil sodium eye or nose drops are no longer available. The new antihistamine eye drop Olopatadine seems highly effective when used twice daily. Nasal steroids: Aerosol beclomethasone (Beclate, Clenil), fluticasone (Flixonase, Flomist, Avamys), triamcinolone (Nasacort), mometasone (Nasonex), budesonide (Rhinocort, Budeflam) and ciclesonide (Omnair) reverse chronic nasal inflammation and congestion in established allergic rhinitis. Fluticasone nasules afford excellent nasal penetration if applied in the “head back” or “salaam” positions. None of these nasal formulations help ocular symptoms of hay fever. Although highly effective, ocular topical steroids should be used with extreme caution (preferably under the supervision of an eye specialist, due to risk of eye ulceration and cataract formation). Decongestants: Zylometazoline and oxymetazoline when used topically for short periods (less than 7 days) are effective in reducing nasal blockage and help penetration of topical steroid nose sprays. Rebound congestion is always a problem if used continuously (“Rhinitis medicamentosa”). Oral decongestants must be used with caution in hypertension, diabetes, glaucoma and prostatism. “Steroidophobia” the fear of using cortisone sprays, is a major stumbling block to treatment with nasal steroids and patients need a careful explanation as to how important continued low dose nasal application is to continued symptom control. Steroid side effects such as growth retardation, cataracts and osteopaenia do not occur at the recommended dosages, but concomitant inhaled steroid use for asthma should be borne in mind when assessing the overall “steroid load”. A short course of oral steroids, perhaps 20mg prednisone daily for 5 days will usually unblock even the most resistant nose and give good symptom relief whilst the antihistamines and regular inhaled steroids get to work. This “shot gun” is particularly useful at examination time or for “special events” such as weddings! However, repeat long lasting steroid injections such as Celestone Soluspan and Depo-Medrol (although very effective) should be discouraged for fear of causing unpredictable side effects (osteoporosis, high blood pressure, diabetes) and local muscle thinning and atrophy. Commencing regular antihistamine medication up to 4 weeks before the pollen season has been shown to significantly improve symptom control in severe hay fever. Grass pollen systemic desensitisation immunotherapy (SIT) and sublingual immunotherapy (SLIT) are the only potentially curative treatments available for severe grass pollen allergic rhino-conjunctivitis. Treatment usually spans 3 consecutive years and the newer sublingual droplet preparations (SLIT) seem as effective as the injectable vaccines (SIT). Disappointingly, this curative treatment is marketed with difficulty in South Africa as ALK-Abello (Immunospec) and Stallergenes (Equity Pharma) but have still after 20 years not received the “green light” from our South African Medicines Control Council. SIT or SLIT currently have to be arranged on a “Named Patient” basis and although a tediously slow process, the net result may be worth the effort. Xolair (Omulazemab) the new monoclonal anti-IgE antibody preparation is an IgE specific therapy for severe asthma and rhinitis, which needs to be given by injection. It is very costly and is unlikely to become a first-line treatment option for hay fever. Aspirin intolerant patients with a combination of pollen allergic rhinitis, nasal polyposis and co-existent asthma will benefit from a leukotriene receptor antagonist medication such as Montelukast (Singulair, Mont Air) or Zafirlukast. The main impediment to treatment and the cause of poor hay fever and allergic rhnitis symptom control is the resistance many patients have to using their prescribed nasal steroids and antihistamines on a regular basis. Patients usually fail to use regular doses of medication and as soon as symptoms improve, they allow the treatment to lapse only to become symptomatic again. Uncontrolled allergic rhinitis will adversely affect asthma making chest symptoms more difficult to control. Patients need to understand the safety and efficacy profile of these prescribed allergy medications. Alternative or complementary treatments remain extremely popular with the public who experiment with hay fever remedies including dilute homeopathic extracts of red onion (allium), eyebright (euphrasia), sabadilla and herbal treatments such as butterbur and sambucos. Another popular remedy is to consume “local” honey for one month prior to the pollen season. This may work as a form of natural immunotherapy (but has never been confirmed in any studies). The most extensively investigated of these alternative treatments is Butterbur (Petadolex) which has been shown to be as effective as many antihistamines. Allergostop marketed in South Africa has no confirmed therapeutic value. Simple non-pharmacological and avoidance measures do help. For example, a simple saline (salt water) nasal douche or lavage is effective. Saline and sea water nose sprays (Sterimar) help flush pollen grains off the nasal mucosal and improve nasal patency. While a little Vaseline applied to the lower nostrils on cotton bud is both soothing and protective. Wrap-around sunglasses are helpful and occasionally a face and nose mask may be necessary. Monitoring of pollen forecasts and remaining indoors during mid morning and early evening (when pollen counts peak) will help. Taking an immediate shower and change of clothing after extended outdoor exposure will reduce pollen levels transferred indoors. Additional prophylactic medication may need to be taken on days when pollen counts are excessively high. When travelling by car, be sure to close the windows and put on the air conditioner to filter out pollen. Special pollen arresting filters and ionisers in the home are expensive and often ineffective. Who, what, why and when to refer? The majority of patients can be successfully managed in General Practice. ENT Specialist referral is necessary if hay fever symptoms are atypical or fail to respond to standard treatments. Endoscopic nasal surgery does not usually contribute to hay fever symptom control unless an anatomical anomaly is exacerbating symptoms in which case septoplasty, polypectomy or partial turbinectomy procedures may help. The key to modern hay fever symptom control remains oral and ocular antihistamines with the addition of regular intra-nasal steroid sprays, all of which should be used continuously throughout the pollen season if good symptom control is to be achieved.